have completed three pilot studies and a full-fledged summer campaign. Each received affordable, personalised & adaptive lessons. 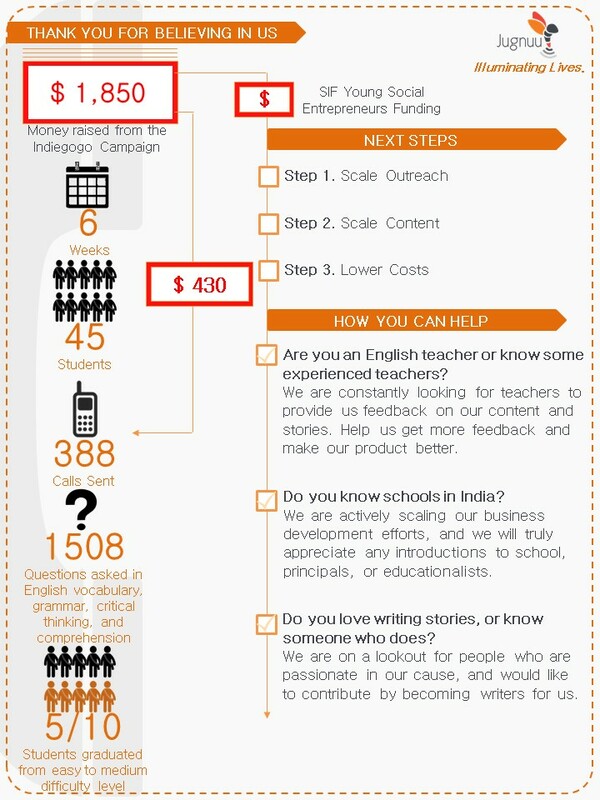 Jugnuu has grown its English language offering into highly engaging calls. Students are engaged for as long as 9 minutes per call. Several call us back to inquire of their next lesson. "Thank you so much for helping my class revise. They loved your lessons!" "Several students approached me to learn more about what was covered in the call." 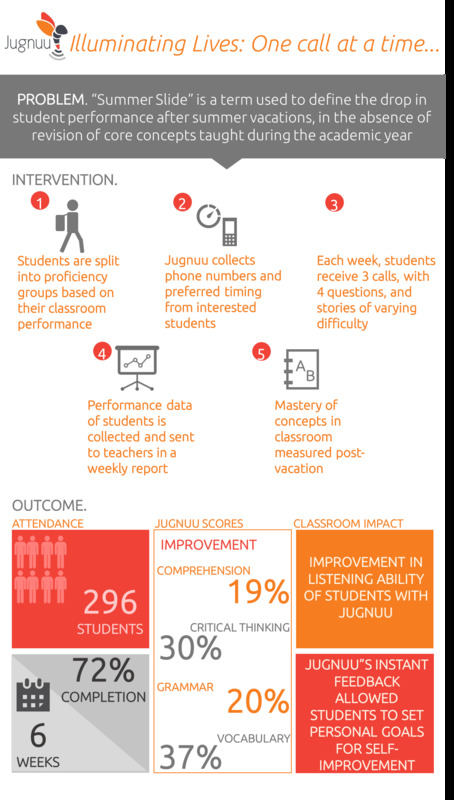 "Jugnuu's intervention during vacation in 2015 helped our students overcome the summer slide - drop in performance due to lack of revision of core concepts over long periods. Not only is it a fun and interactive way to learn for students but it also helped us teachers track our students' progress. Thanks to Jugnuu, learning goes further beyond the classroom now."